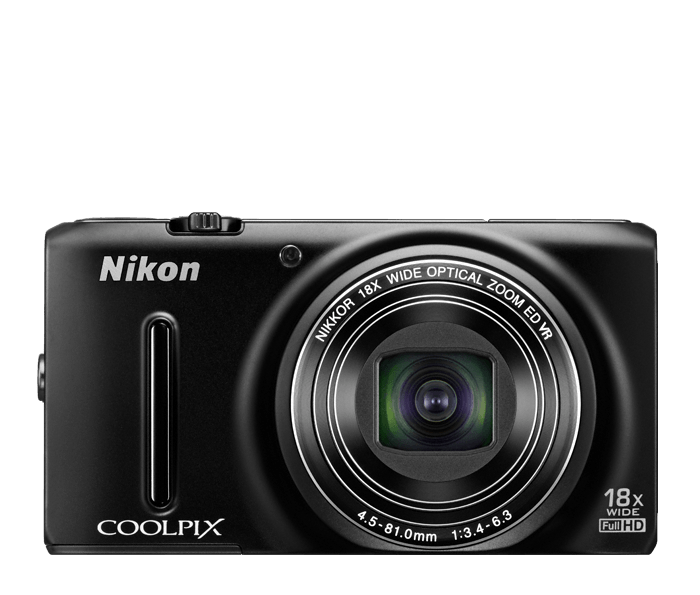 Sure to turn heads, the COOLPIX S9400 sacrifices nothing for a sleek, stylish design. Packed inside its pocket-sized body is a powerful 18x zoom super-telephoto NIKKOR glass lens with lens-shift Vibration Reduction and Motion Detection. Both of these features are designed to help you take astonishing close-ups that are razor-sharp, even if your hands are a bit unsteady or your subject is moving fast. Its large 3.0-inch 614,000-dot OLED display features Clear Colour Display technology and an anti-glare coating for easy viewing, even in direct sunlight. And with an 18.1-megapixel low-light CMOS image sensor, you can shoot without a flash in most low-light situations and enlarge your favourite shots to poster size! Wherever you go, slip the COOLPIX S9400 into your pocket and collect striking memories.